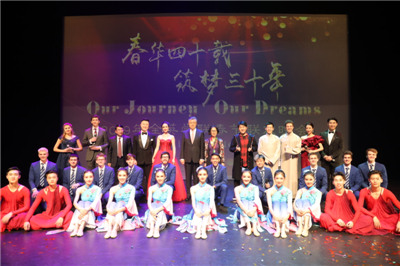 On January 28, 2019, Ambassador Liu Xiaoming and Madam Hu Pinghua attended the 2019 CSSAUK Chinese New Year Gala entitled Our Journey, Our Dreams at London’s Sadlers Well’s Theatre. 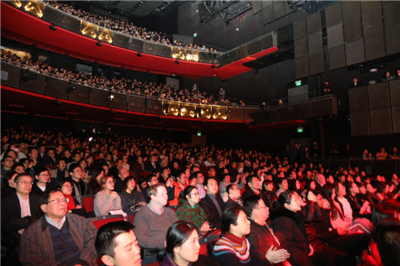 The Gala was hosted by Chinese Students and Scholars Association UK (CSSAUK) and co-organized by Shanghai Theatre Academy. Over 1,500 people watched the performance, including heads of the UK Department of Education, the British Council and the British University and College Union International Affairs Office, Chairman of the 48 Group Club Stephen Perry, heads and representatives of over 30 universities including SOAS University of London, the University of Bristol, the University of Huddersfield, the University of Cambridge, Imperial College London, the University of Edinburgh, Oxford Brookes University and Bangor University, as well as representatives from Chinese institutions, scholars and students in the UK. 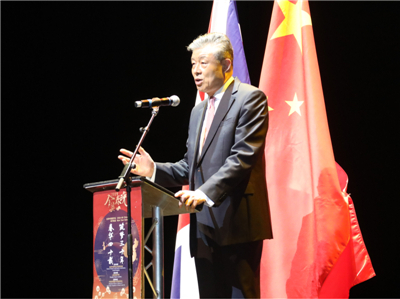 In his speech, Ambassador Liu extended his New Year greetings to the Chinese students in the UK, pointing out that the year 2018 is an extraordinary year. Under the strong leadership of the Communist Party of China with Comrade Xi Jinping at the core, China has prevailed against all kinds of risks and challenges, maintained the steady growth of the economy, improved the people's life and celebrated the 40th anniversary of the reform and opening up. With the deepening of reform, China’s openness is greater. In 2018, China and the UK made steady progress in forging the “Golden Era”. Cooperation across the board has been advanced, and common interests are deeply intertwined. This is particularly true in the field of education. Chinese students have increased to 180,000, and they have made extraordinary contribution to China's reform and opening up. The year 2019 is a “big year” as China will celebrate the 70th anniversary of the founding of the People's Republic, said the Ambassador. He expressed his three hopes for the students in this special year. The first hope is that the students would align their “small goals” with the “big goals” of the country by aligning the personal progress with the national rejuvenation. Aim high and working hard, they could serve motherland in the future with what they have learnt now. The second hope is that the students would use their “small stories” to serve the “big diplomacy” by sharing their personal experience with their foreign friends and telling them China’s stories so as to help the UK and other western countries gain a better understanding of a real China. The third hope is that students would build their “small institution” into a “big platform” by making the CSSAUK a big platform for exchanges and a standard bearer for overseas Chinese students associations around the world. The Chinese Embassy will always be the home and the strong backing of Chinese students in the UK. In the new year, the Embassy will continue to do a better job to provide better services in a more efficient manner. Zhang Cen, Chair of the CSSAUK, said that the CSSAUK plays an important role in bonding and uniting 180,000 Chinese students in the UK. 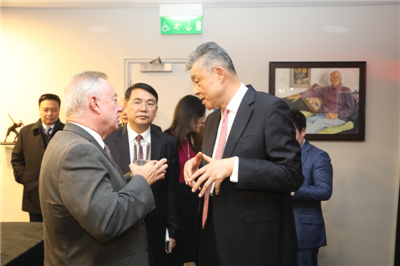 It will bear its mission in mind, live up to the trust of the students, and continue to serve the Chinese students and scholars in the UK and contribute its wisdom and strength to the development of China. The Gala, themed Our Journey, Our Dreams, aims to commemorate the 40th anniversary of China’s reform and opening up and the 30th anniversary of the founding of the CSSAUK. 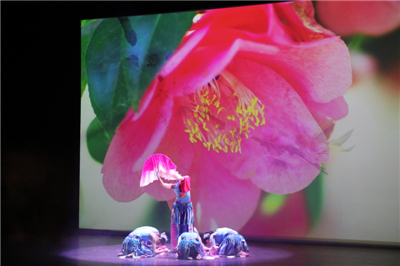 Opening with an original dance by Shanghai Theatre Academy entitled Red, the Gala offered an audio-visual feast for the audience, featuring an array of excellent performers from various countries. Chinese, British and Japanese students of Royal College of Music performed a unique string ensemble of Jasmine Flower, a delicate Chinese folk song, and the bold and untrammeled Piazzolla Libertango. The Duet You and Me in both Chinese and British, carrying the message of love and hope, brought people back to the Beijing Olympic Games ten years ago. Su Han, rap singer and student from Tsinghua University, ignited the audience’s enthusiasm. Lin Li, PhD student of King’s College London and Chinese Zither performer, performed Qintu Qing with Professor Colin Sell, British renowned pianist, expressing a longing for home and a love of one’s country. Crosstalk China in My eyes performed by professional Chinese actor Yan Jiabao and Shyshov Legor from Ukraine brought laughter to the theater with their play of Chinese and English words. Gong Linna, professional singer and one of the founders of the new “Chinese contemporary art songs” genre sang The Flowing Brook and Thoughts on a Quite Night with unique artistic charm to the resounding applause from the audience. 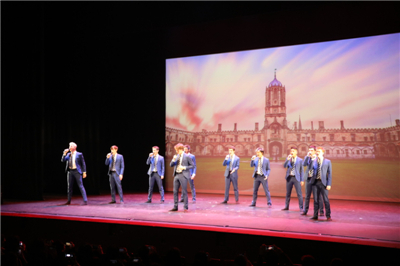 The night’s show ended with the performance by Out of the Blue, Oxford’s premier all-male a cappella group, which drove the atmosphere to a climax. After the performance, Ambassador Liu and Madame Hu met with the performers and had a group photo taken with them.